April is here! The sun is out, the days are longer, the flowers blossom. We love everything about spring! Bracelet with sapphires and brilliant white diamonds and bracelet with rubies and white brilliant diamonds in the shape of flowers. These two bracelets will remind you of spring all day long! Vogue, the fashion bible, relaunched in Greece after a seven-year absence and hit the newsstands today! Exciting times! We are very honoured to be part of the first issue!! 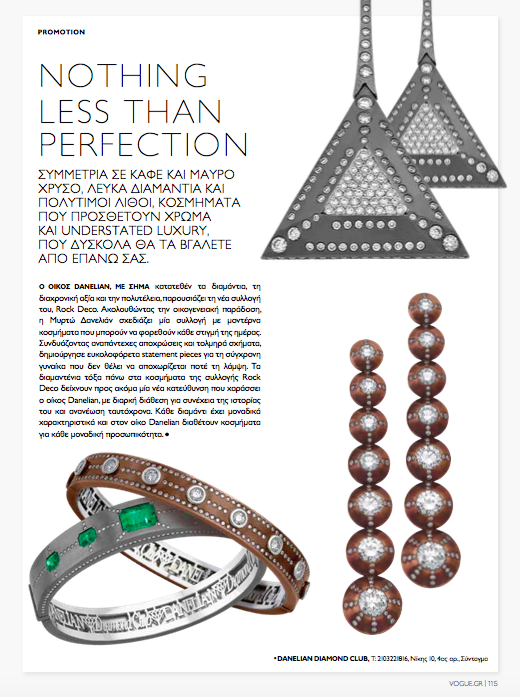 Our Rock Deco Collection designed by our very own Myrto Danelian was featured in this iconic issue. 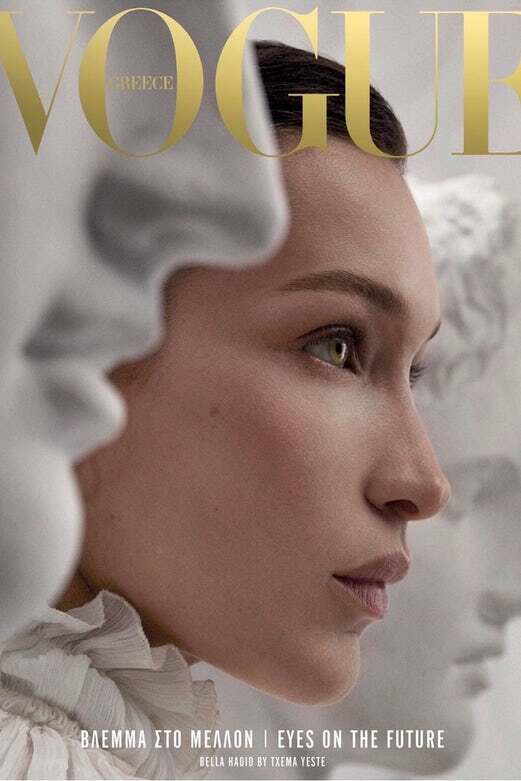 Congratulations to the team of Vogue Greece for a breathtaking cover featuring stunning model Bella Hadid! Sensational work! Eyes on the future!